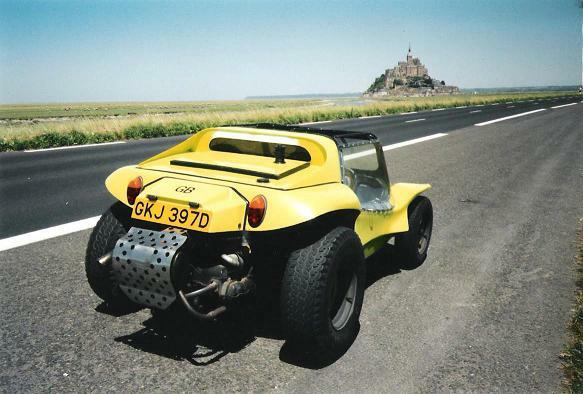 This is my 1977 MK2 GP Beach Buggy (modified). 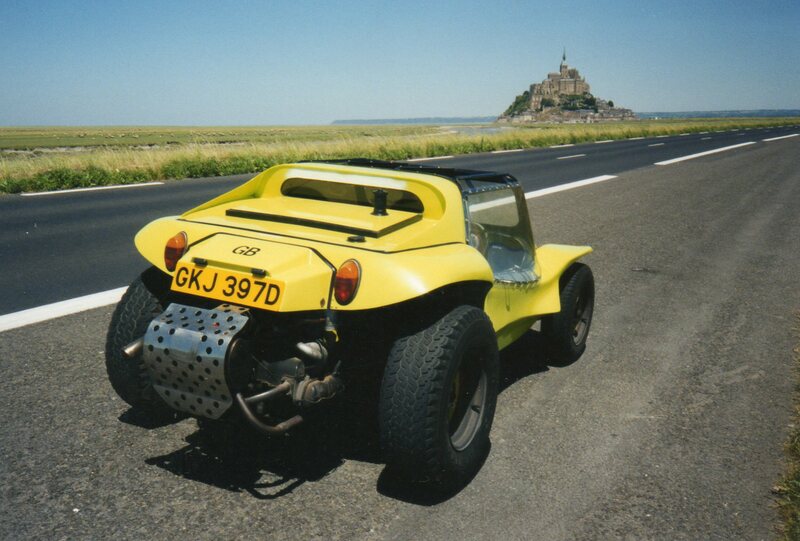 This bug is based on a 1966 beetle, seen here at Le Mont St Michelle in france, June 17th 2000. The day was spent at the monastry in the background - nice.